I am guilty sometimes of only seeing the worst. The glass is half empty...the glass is almost out.. rarely pondering that the glass is half full or that my glass sometimes is really over flowing. I am sometimes guilty of being covered in blessings but never "seeing" them. I can say that is not always the case....like today. To be more accurate like the past few days. I think part of the problem is that I spend most of my time rushing. I rush mentally and physically. While I am flying by I see all the bad. I see everything that's not done...or everything I don't have. Its only when I slow down do I start to see all the good....everything I have accomplished..or that I already have everything I need. The last few months have been really hard. I have spent alot of time fearing what was coming after I have the new baby (still nameless in case you were wondering). Because lets be honest. Babies are alot of work. I know 16 months ago I had a newborn. Babies are also alot of money... not to mention now I will have 2 in diapers. One on the liquid gold (at least thats what it costs as much as) that they call formula. I really wasn't looking forward to it...the work, the tiredness, and even more sacrifice to make ends meet. I dwelled completely in the negative because I was moving so fast that I never gave myself a moment to see positive side. This weekend my husband was off of work and we spent the entire weekend wrapped up in each other...the hubs, H and I. We only did what we wanted to do. We played in our yard, went to a park, slept late, stayed up late, took lazy naps, ate late breakfasts, visited friends, and just enjoyed being a family. Suddenly I was overwhelmed with guilt as I watched H play. I had somehow forgot the miracle it was for me to have a baby. I mean I had said thanks for another baby...but deep in my heart I don't think I felt it at least not at the right magnitude. Not that I didn't want it...just that I doubted myself and the situation that I know is right around the corner. It was like a light went off or suddenly everything that had been out of focus finally became not just legible but crystal clear. I started crying. Here I am pregnant again when I was told by so many that I would never have a baby. In remission from a terminal illness that no one thought I would live through. Sitting beside the man that I thought only existed in dreams. Watching my first born son play in our yard as his little brother did his best to kick hard enough to bruise my internal organs (I see soccer in this ones future). I immediately started praying and offering my thanks apologizing for my blindness to all the blessing that surround me. I gave thanks for my babies. I gave thanks for my health. I gave thanks for the man who is my rock. I gave thanks for my husbands job...and although it is not without struggles the opportunity to be able to stay home with my kids. I gave thanks for all the times that somehow our needs were met...when I just "knew" they wouldn't be. I gave thanks for everything that I had previously taken for granted....If right now your glass is half empty then take a moment...maybe you are moving to fast slow down and see how full the glass really is...it may suprise you. Where have I been? Well I have been baking....a human. Or you could say that I have been getting crafty...because I am making a human. In the past week I think the nesting urge kicked in. I have cleaned and organized my heart out....well not my heart out but I did over do it and had a few contractions. I still don't feel like its done...so I have tried to rest today so that I can get back to it this weekend. I have also cooked alot! Just this week I have made a wonderful pineapple upside down cake. I totally messed up my normal recipe and left out the wet ingredients in the cake. I have to blame it on prego brain because I had to stop what I was doing to get my toddler down for the nap when I got back I forgot the water the cake called for and I just whipped it up and poured it on top of the caramel and pineapple in the bottom of the cake pan. I realized as it was half way through baking that I had forgot something but by then there was no way to correct it. The result was almost like a blondie on top of a pineapple caramel sauce. My husband loved it so much he ate half the pan in 1 day....and he doesn't usually care for sweets. As a matter of fact this will be the first dessert that I haven't had to give away to make sure it didn't go to waste. He finished the rest of the cake the second day...lol. I have tried out a new chili recipe that as type is in the fridge just waiting to be put in the crock pot to simmer tomorrow. I also finally perfected chicken fried chicken which my husband dug into with gusto tonight. I made a double batch of biscuits and froze some for later. I have made my son jello Easter egg jigglers....that he gobbled up and giggled while he did it...lol. Made a junkie dinner of chili dogs and onion rings. Cooked up a big pot of potato ham soup that was loved by the grown ups but the toddler hated. In the works for this weekend I plan on making another cake of some sort or cookies. I may also try to make either lasagna, stuffed shells or lasagna rolls....whatever I come up with. On the crafty end of things I am currently cutting out squares to make my son a rag quilt that will be 4 foot X 4 foot. I also have a artwork idea I really want to try to get to. So hopefully I will have a productive weekend and will have lots of things to post about next week. I know that I am only 27 weeks pregnant but since I measure already 34 weeks pregnant I am in the uncomfortable stage. So my back has been hurting alot and I have to constantly change position...which roughly translates to gotta go Internet this giant baby is breaking my back...and the office chair is apparently trying to help him do it! 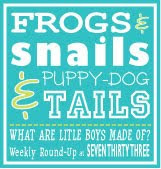 Mannland5 post questions every Sunday that you can copy answer and link back up to her site go check them out and get to know some other bloggers..
1. What year did you graduate high school? 2. What part of your body do you neglect the most? 3. Beach house or Lake house? Beach house... I love the ocean. 6. If you could be one person for a day..living or deceased..who would you be? 8. Would you rather cook or clean? cook anytime!! 1. Have you ever had a celeb sighting? Yes a few. When I had leukemia and was in the hospital a few celebs would come through. I got to meet Big Boss Man a wrestler who has now passed away. I got to meet the catcher from the Atlanta Braves Jave Lopez. I was actually on the Sally Jesse Rapheal show when I was 18...a show with a theme about kids with cancer...so I met the "STAR" of that show....and a few other minor celebs..
3. Do you notice dust at other peoples homes? no...I am so not that kind of chick if I come to see you its to see you I am not judging your house promise! 5. What is your most sentimental possession? I have a sick quilt...Its a quilt I have had for many many many years...its the quilt I used when I had cancer...I took it with me on my long hospital stays...my only comfort sick and so far away from home...now I only use it when I am really sick and I am quite protective of it...Its very old and fragile...I have had it since I was 12. I am so excited to be featured on Homemakers To do Tuesday. It was so sweet of her to mention my 1st time applique. It made my day! Go check her site out and see who else she is featuring....and check out her creative ideas....she also has an awesome etsy store! Ok so today is the day. I have to head to the doctor for my gestational diabetes test...and I get another ultrasound to see how the baby looks due to measuring so far ahead.... I will update when I get back how it went...Say a prayer for me guys that the baby is healthy and fine....and that Mommy is too!! Just got back from my morning appointment and wanted to let everyone know what I was told. There is for sure only one in there he is just a big boy. Right now I measure 33 wks and I am only 26 wks....he weighs in at 2 pounds and 16 ounces....I passed my gestational diabetes test with flying colors ( this is a miracle I am actually insulin resistant and so they expected me to fail). They are going to keep a watch on him and if he gets too big they will take him early! Plans For Me and Questions For You. Plan for me: As of tomorrow I will be 26 weeks pregnant. There are alot of things I need to accomplish and get done. I find myself not doing things because I am overwhelmed by what all I need to do. So I have a plan. I am going to make a list of goals for every week and a list of goals for everyday. Then I am going to put that list on my refrigerator so that I look at it a few times a day. I also think that it might be helpful to get on some kind of cleaning schedule. Like on certain days I do certain things. Which hopefully will help prevent the situation I am currently in....I am so behind on laundry and housework its shameful. So this weekend it is my goal to get the house completely cleaned up. That way Monday I will have a fresh slate to start with and the housework should be more managable if kept up with on a daily basis instead of my current method of waiting till it is really dirty (well not dirty as in filthy but certainly messy). 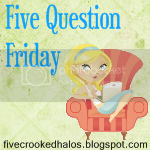 Question for you: Do you follow any kind of cleaning schedule? If so would you mind sharing that schedule with me? So that I can get a better idea and make my own. I will be posting a goal for each week once I get it all figured out so that maybe it will help hold me accountable! My goals will not just involve cleaning I have alot of projects that need to get done too...If you want to comment with your goals or projects coming up that would be great too....I hope I am not alone in this semi overwhelmed and underorganized ship. One of the things that really made me want to start sewing was to be able to make things my way. I always seen things and thought I would like that so much better if... Applique had been on my long lists of got to try for a while. The great thing about applique is its easy to make it your way. I have read all about how to do it and finally worked up the courage to give it a go. I wanted to make something for my son...I hate to say this but when it comes to cute boy clothes out there the selection kind of bites...I mean seriously you have a small section of boy clothes and usually a massive section of girl clothes. It never fails when I go shopping for my son I see very few things that make me think "SO CUTE" but then there are lots of things in the girl section that make me think that way. Since I can't go putting anything pink and frilly on my son it became my mission to make something for my son that rocked my socks. After deciding it was a boy project then I had to find fabric. That only took me 2 weeks to find. When I finally found the fabric I fell in love with it. I love polka dots. However polka dots aren't always very boyish...but this fabric was. Of course I only bought 1/4 of a yard. I was trying to be good and not hoard fabric. I liked it so much though that I really want to make a quilt with it and went back and guess what...its gone. All of it. When I bought it the roll was full. Now they don't know if they will get anymore back in... Does this kind of random torture only happen to me?? I however have sucked it up and moved on with my life (sniffle-sniffle). Who would have thought that finding the fabric would be the easy part. Next I had to choose the shape to applique onto the shirt. I am the queen of procrastination...so it took me a month. I went through every idea under the sun. It had to be cute but it had to be all boy. I went through so many ideas and saved a few because it just didn't do the fabric I chose justice... finally the inspiration came that I needed. My baby shower is coming up in April. My sister has claimed this shower. She wasn't happy that she wasn't allowed to throw the first shower due to my Grandmother's etiquette rule about family not throwing the shower. So when we found out I was pregnant again and seen the gleam of determination in my sisters eye...everyone backed off. They let her have it...even Grandmother. My sister apparently has been thinking about this one a long time because she has it all pretty much planned...and really doesn't care if I have an opinion about it or not. Normally I would have an opinion since I have that type A control freak personality...but being pregnant with a gigantic baby and having a 1 year old who's life mission is to wear me out from the time he opens his eyes in the morning till he closes them at night has beat the opinion out of me...on some things. So my shower will be Pirate themed. My only request was that it be fun silly colorful pirate and not dark scary pirate. So my silly skull was born. Check out the ragged edges I made on the skull..I just love it. I satin stitched the mouth and gave him colorful buttons for eyes. Its not bad for a first attempt at applique and guess what. Its "SO CUTE" and it rocks my socks so mission accomplished! Plus I am also planning to make one for me to wear with a little skull over my bump...that way baby brother isn't left out either. Unfortunately this was not pictured worn by the model it was meant for...he doesn't want to take his pjs off right now and I am fighting a bout of morning sickness so I gave up. But I could not wait to show it off! I am linking up to the parties below. Stop by and check out what everyone else has been making. 2. What is your favorite TV series? Ok I am totally cursed everything I love ends here are a few examples of past favorites... Dawson's Creek, Gilmore Girls, Felicity, Nip Tuck. So I guess my current favorite (still on air) is The Ghost Whisperer...that show kills me. It scares me and makes me cry all at the same time...not to mention totally makes me jealous Jennifer is gorg and has a wardrobe to match. I do actually own all of Gilmore Girls on dvd and never get tired of it...they are a comfort thing. I put them and as background sometimes while I craft or clean if I am not in the mood for music. 5. What's your favorite kind of M&M's...peanut, almond, straight up regular, etc.? Ok I love plain with buttered popcorn at the movies but if I am just eating them alone I want the peanut! Its follow friday again. Below are 2 buttons click either one and add yourself to the link and then follow the rules below. 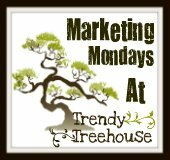 Add your blog link to the MckLinky you will find on One 2 Try or Trendy Treehouse's Post ~ Remember to leave your blog name under Your name. Make sure to follow the host of the party...so you will follow One 2 Try or Trendy Treehouse...or both like I do!! Grab the Button of the one you choose to follow for your blog ~ so more people can share in this FUN! Follow other Blogs that have linked up ~ Don't forget to comment saying that you are now following them and visiting from Follow Me Friday so they can find you! The more you follow, the more will follow you! It's that easy! This is for blogs only ~ no advertising links please! Have fun! Its a pretty neat way to find blogs and meet new friends too! Breakfast for the toddler and I will be: Yogurt with berries, Scrambled eggs with Cinnamon Raisin Toast, Banana Bread, Oatmeal. We will just choose from the menu based on what I feel like or what he asks for. The hubs always takes yogurt and a breakfast bar or oatmeal...he is a creature of habit and eats the same thing everyday. Plus he won't eat when he first wakes up so he has to have something he can eat at work on the go. Lunches for the toddler and I: Soup, Turkey and Cheese Sand. Baked Chips, Fruit or left overs. Again that is a whatever we feel like at the time menu to choose from. Here is another one of my little hand sculpted creatures. This is Sunshine from my fairy bear collection. I sculpted her because I am tired of winter and we need some sunshine. She has little flowers and sparlkly wings...and it felt a little brighter after I got her done. **I do want to clarify that the little creatures I post on here are not themselves for sale. These I make just for my own enjoyment. I do not currently have an etsy store...it will be a few weeks before I do.